Knit gloves for ages 7 and OLDER with tons of bling at the fingertips that gradually spread out. 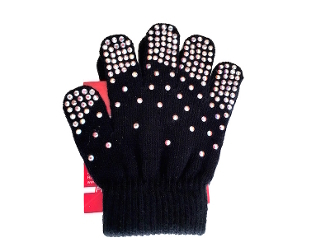 These gloves are decorated with 300 Swarvoski AB Crystals. Available in Black, White, Red and Beige. Hand crystalled. Please allow an extra 2-3 business days for shipping.